The Marantz Model SD-4020 is a three head, two speed cassette deck, made by Marantz. Simple machine with really good sound, more on the colored side. 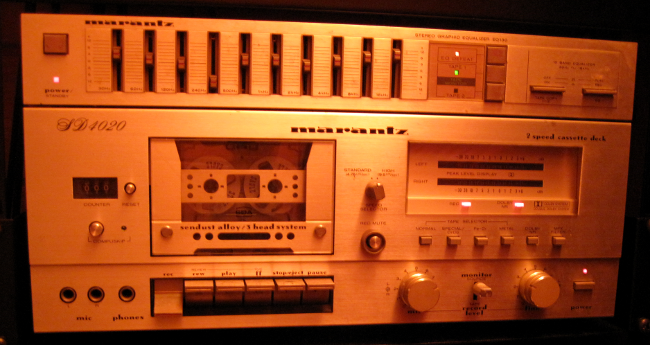 This machine is often used for playback of cassette tapes sent to us as a source for mastering. We usually combine it with a matching Marantz graphic equaliser, which has a mellow sound, lovely for projects with a retro aesthetic.